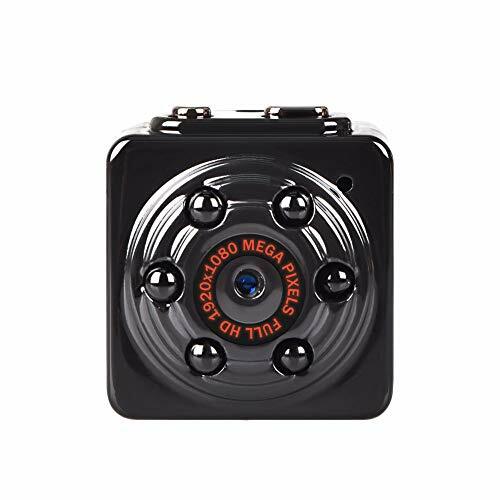 This is a portable mini spy hidden camera that is easy to hide. 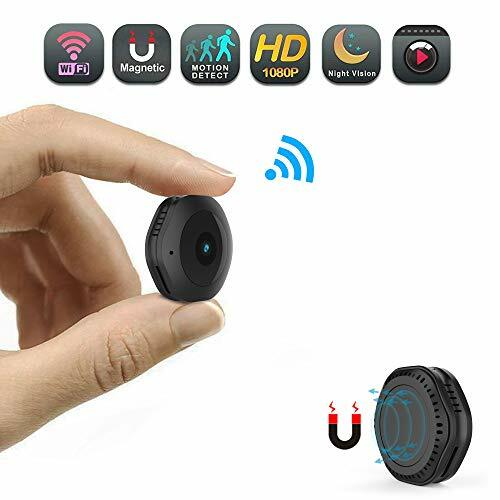 It is ideal for use as a home security camera or housekeeper/nanny camera. It can be placed wherever you need it, such as at home, in the office, on tables, shops, walls and pockets, or on the collar with clips. 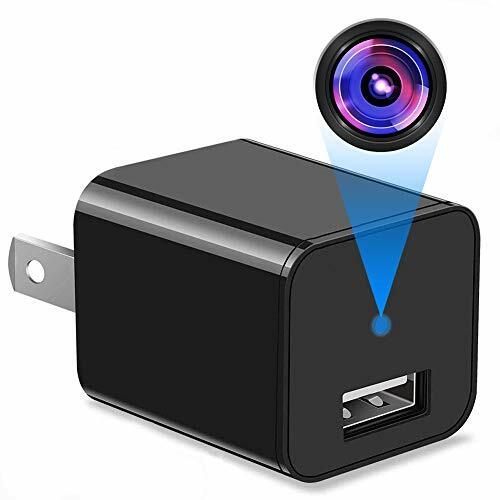 In addition, it can also be used as a car camera or aerial camera. With full HD 1080P video resolution and 150 degree wide angle, it covers a full range. 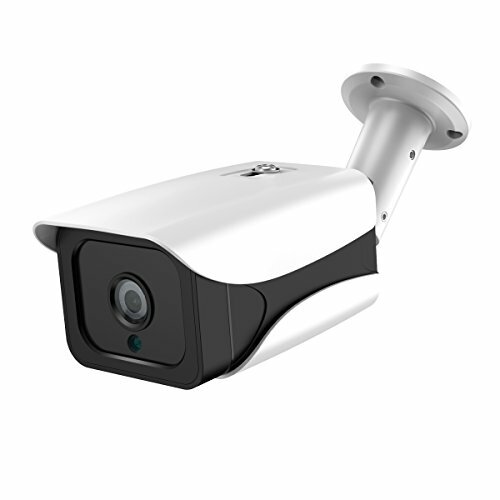 Motion detection, loop recording and super night vision will let you miss any picture and miss anything. Built-in 300mAh battery, after full charge, the camera will continue to record for up to 100 minutes. It can be recorded while charging. – Due to long-term transportation, the battery of the mini camera will be in a low power state, please charge it 1 to 2 hours before use. – The spy camera may release heat when in use. this is normal phenomenon. 100% Satisfaction Guarantee – We provide the best customer experience. Free replacement or a money back guarantee. If you have any questions, please feel free to contact us and we will get back to you in the first time! 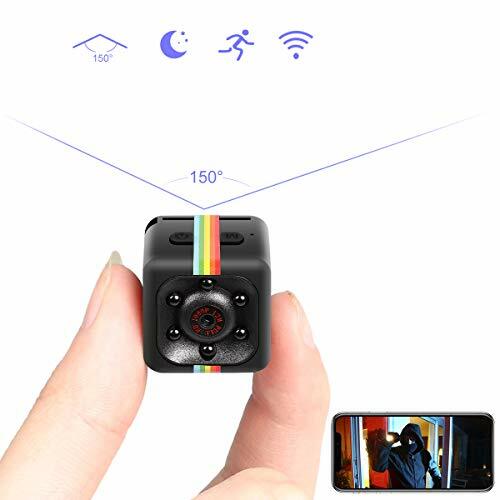 【SUPER MINI HIDDEN CAMERA】: The hidden camera recorder is the world’s smallest portable pocket body camera.Makes it perfect as a home security camera or a housekeeper/nanny cam for recording both snapshot picture and videos without attracting any attention. You can put this spy camera in the corner of home, office, store, car. 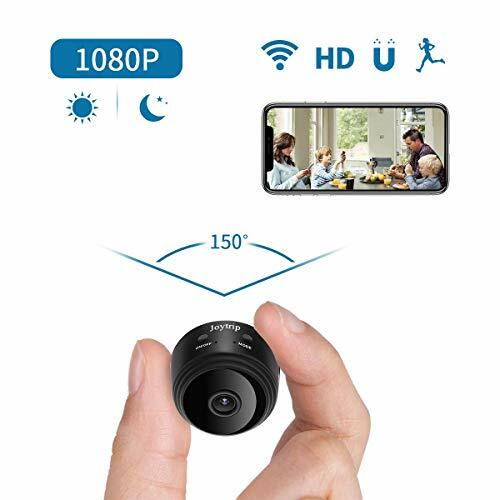 【FULL HD VIDEO AND 150° VIEWING ANGLE】: With a 30 frames per second 1080p HD resolution and 150° wide-angle lens, can produce bright and crisp images, excellent recording capability under low light conditions.The spy camera captures details clearly and give you a greater scope of view on everything that’s happening in the room. 【MOTION DETECTION】: With the upgraded intelligent motion detection, now you can set the sensor sensitivity manually. Once a motion is detected, the hidden camera will send Push Notification with images to your phone.You can log into the App to see what’s going on in real time and never worry about missing something important. 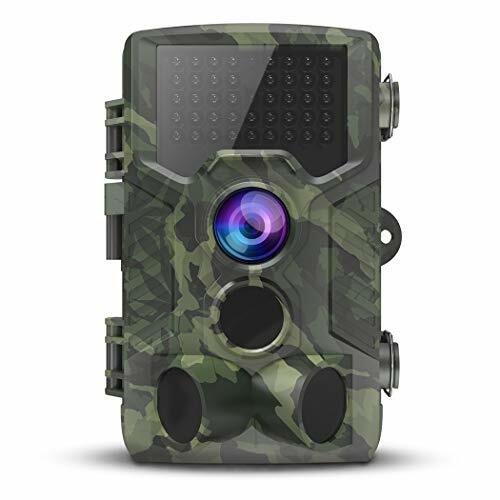 【Super IR NIGHT VISION】:The device features a covert design of 6 infrared IR light and non-luminance, can deliver an outstanding night vision range up to 16.4ft (5m) away in low light or even in the dark, you can turn it on or off remotely by Hidden Camera App. 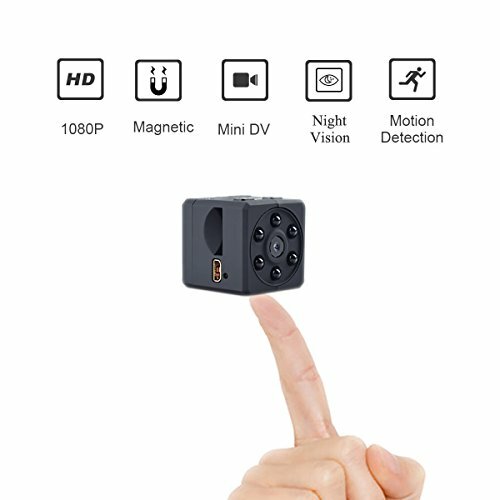 This mini hidden camera able to capture clear video even in total darkness. Thus you can see a live feed at all hours of the day or night just as you want. [LONGER LIFE & Warranty]: Built-in 300mAh high-capacity rechargeable battery, working for up to 100 minutes. This spy camera supports loop recording and recording and playback using a local TF card (up to 32G, not included). If the SD card is full, the oldest video file is automatically overwritten. We offer a 12-month worry-free warranty and lifetime technical support. If you have any questions, please do not hesitate to contact us, we will provide you with a satisfactory solution.